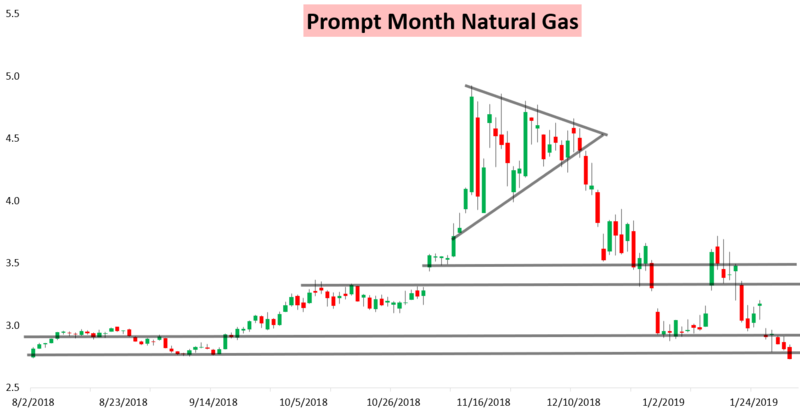 Natural gas prices closed at their lows for the week as afternoon weather model guidance showed more limited cold risks and cash prices traded down significantly this morning on weekend warmth. 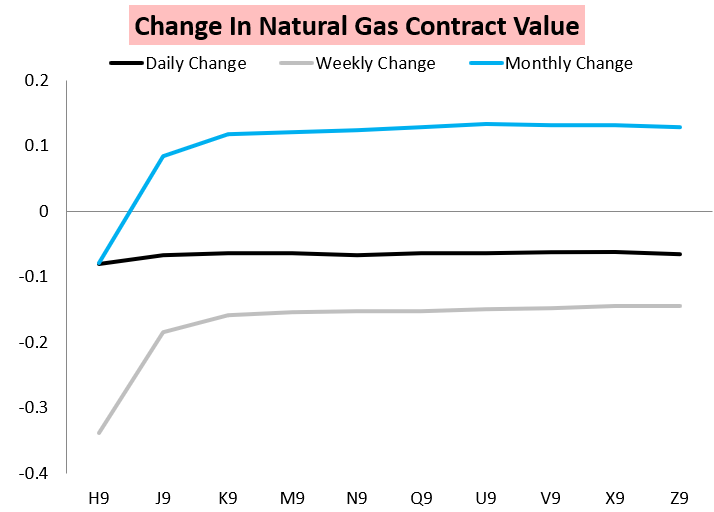 The March contract ended up settling down almost 3% on the day. It was an ugly day all along the strip with March plummeting on the week as well. 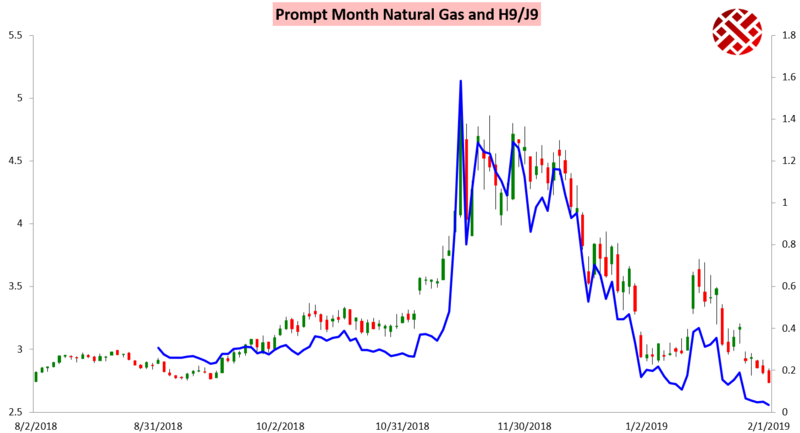 The winter premium of the March/April H/J spread continued to get sucked out. 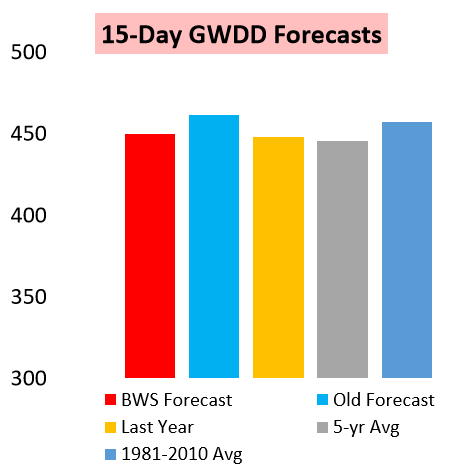 Such bearish trends began overnight on a solid GWDD loss (as seen in our Morning Update). Cash prices then sold off this morning in line with expectations we outlined for our clients, as balances remain loose and the weekend and early next week all look quite warm. Afternoon model guidance was unable to save prices either, with warmer trends clearly seen in the medium-range on Climate Prediction Center forecasts. 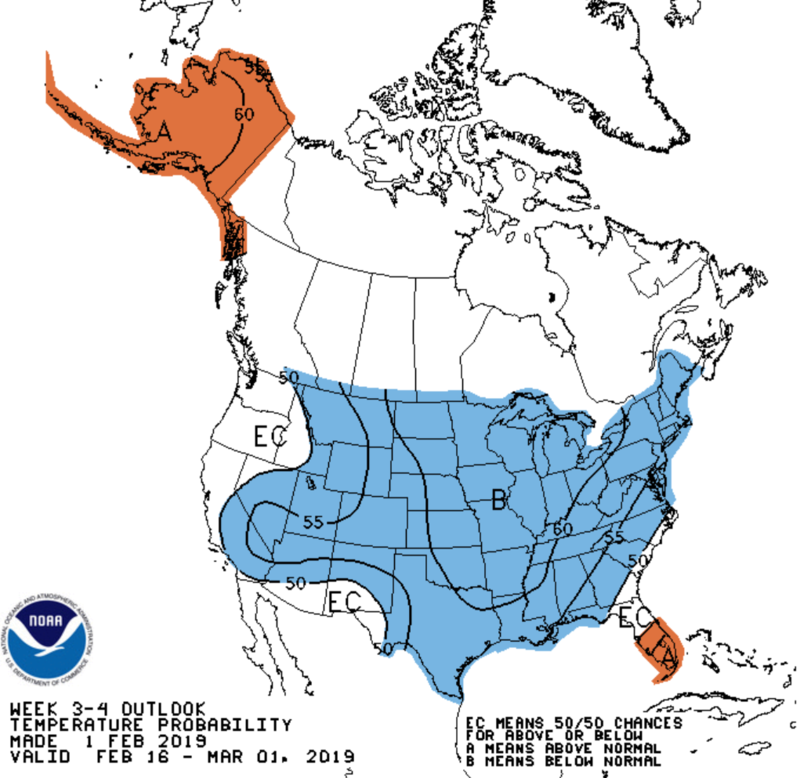 However, the Climate Prediction Center is still forecasting colder risks in the Week 3-4 time frame.